Luxury isn’t logical. Every Toyota Corolla includes LED headlights and active safety tech, yet the cheap, slow compact would never be considered by someone seeking a name-brand compact luxury sedan. But luxury isn’t just about features—sometimes you pay more for a less spacious car with fewer standard features because of how it drives and because you want to be associated with the brand. 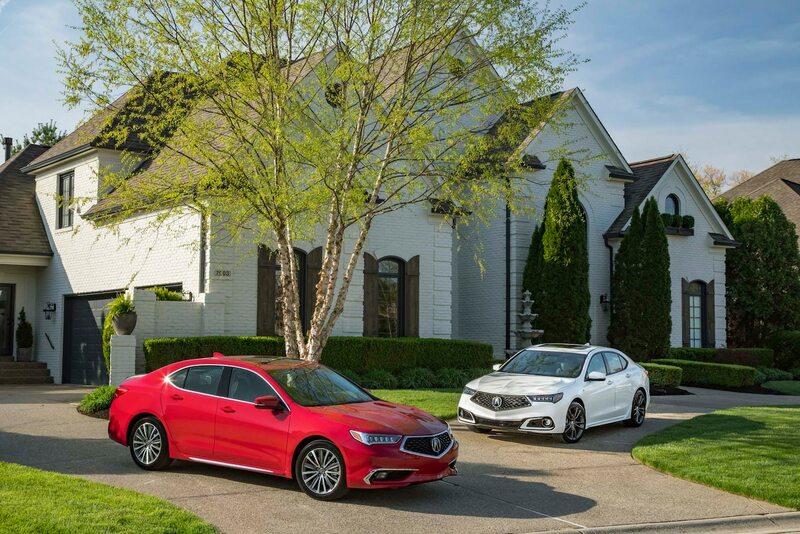 The refreshed 2018 Acura TLXattempts to strike a balance between luxury and logic, with updates that strengthen the value Acuras have often had while adding an emotional pull some recent models have lacked. 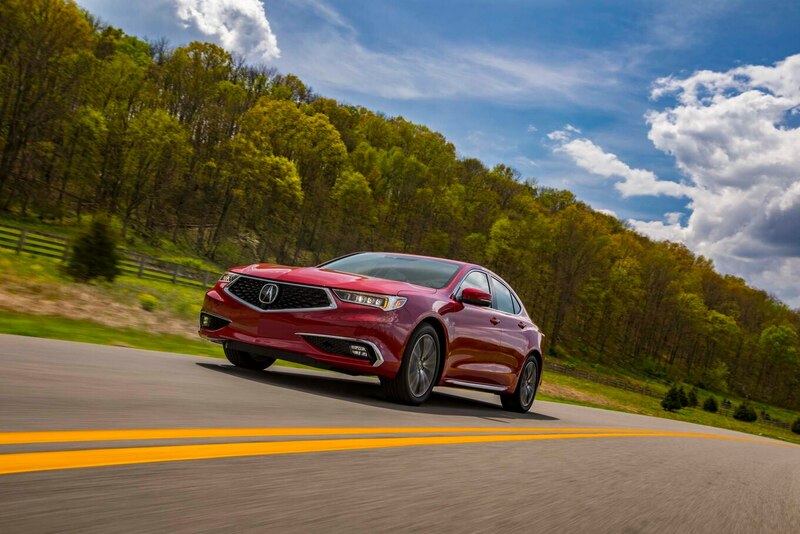 We drove the 2018 TLX to determine where the Acura fits in an overwhelming segment with more than 10 choices. 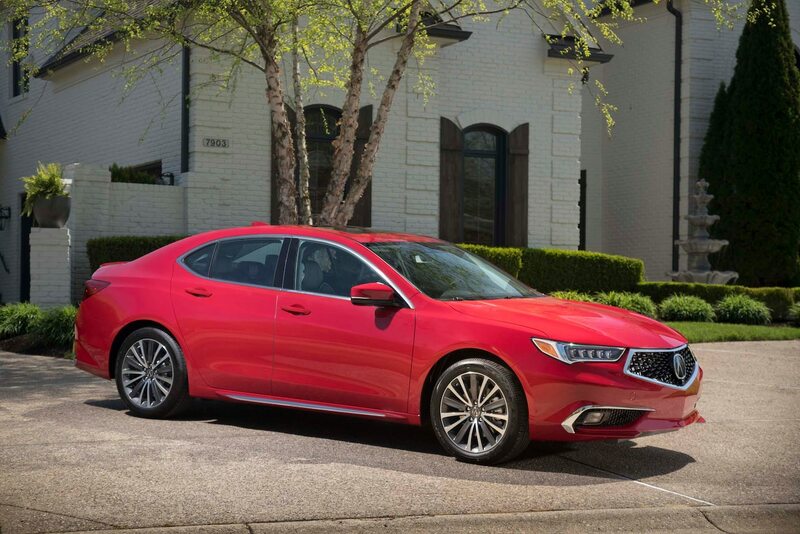 Every 2018 Acura TLX, from the base model four-cylinder to the six-cylinder A-Spec and Advance-package cars, comes with an impressive amount of standard equipment for a luxury sport sedan. 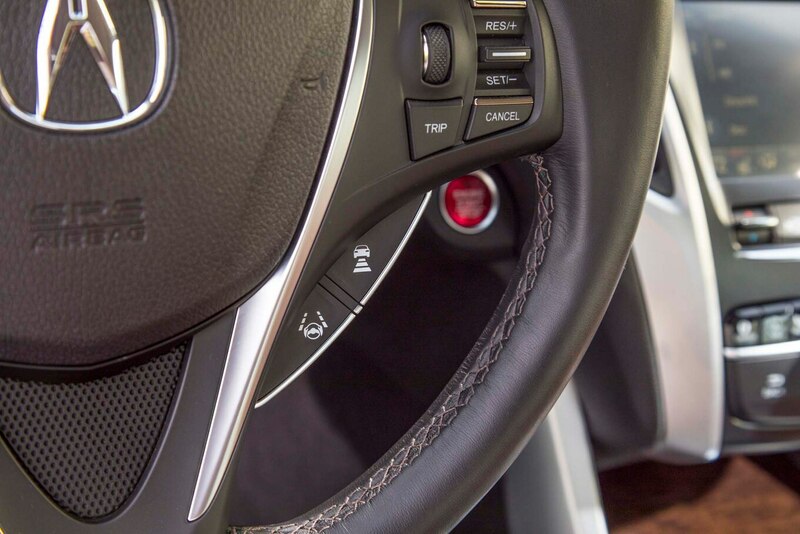 The car starts at $33,950 and includes LED headlights, Android Auto and Apple CarPlay compatibility, a proximity key, heated front seats, an electric parking brake with auto brake hold, and adaptive safety tech. 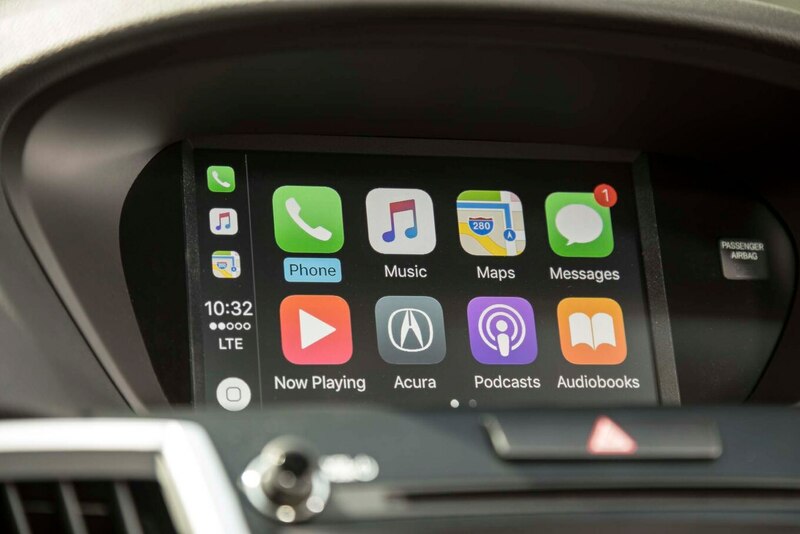 If your smartphone will work with Android Auto or Apple CarPlay, you effectively have an in-car navigation system anywhere your phone has reception, too. 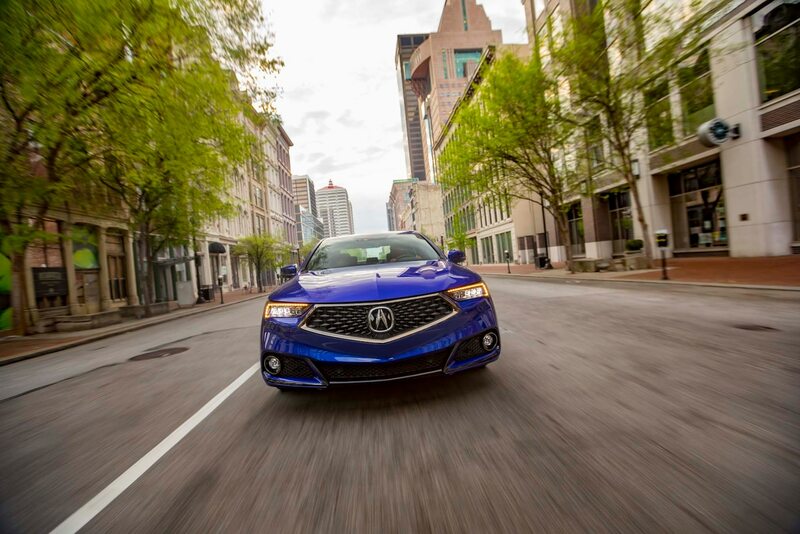 Active safety tech isn’t for everyone, but like the HID headlights on my personal first-generation Acura TSX, it’s the kind of thing you might appreciate after driving with it for a while, from the 2018 TLX’s collision mitigation braking system to the lane keeping assist system that can help you stay in your lane on a highway or two-lane road. 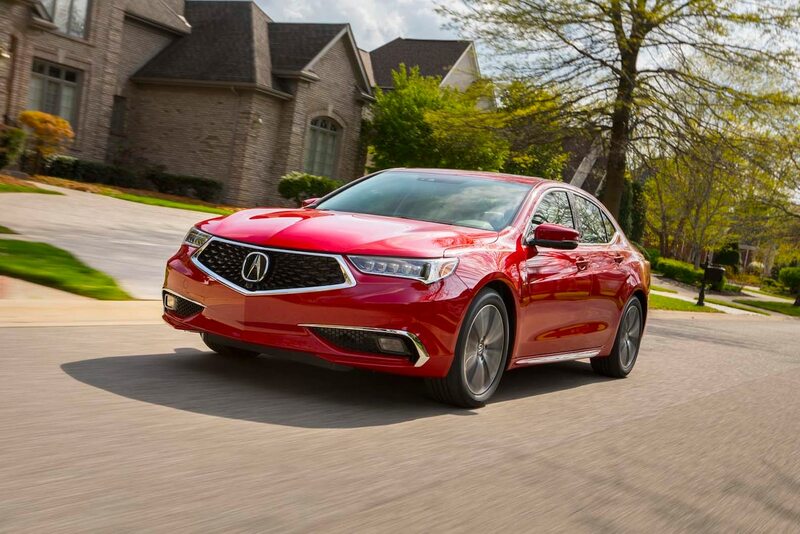 Learn seven cool facts about the 2018 TLX here. 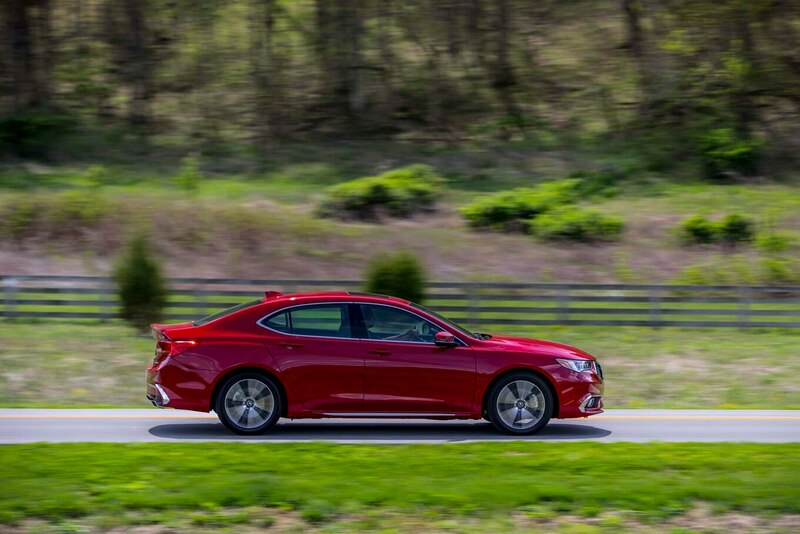 The 2018 TLX hasn’t yet been safety tested by the NHTSA or IIHS, but Acura says it is targeting a Top Safety Pick rating with the latter organization. 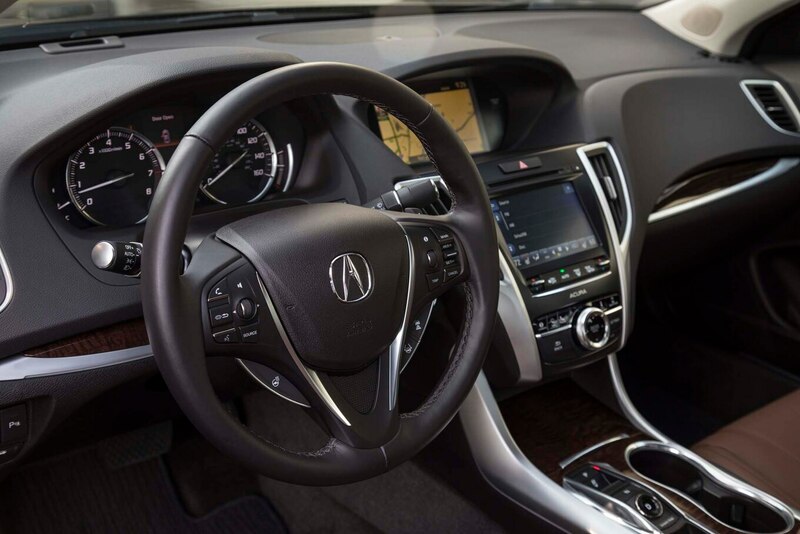 Beyond the addition of a few new features, the 2018 TLX’s major changes are bolder styling details, the sportier A-Spec model, and colorful brand-boosting ads that remind viewers the front-drive sedan is made by the same company that brought us the advanced NSX hybrid supercar. 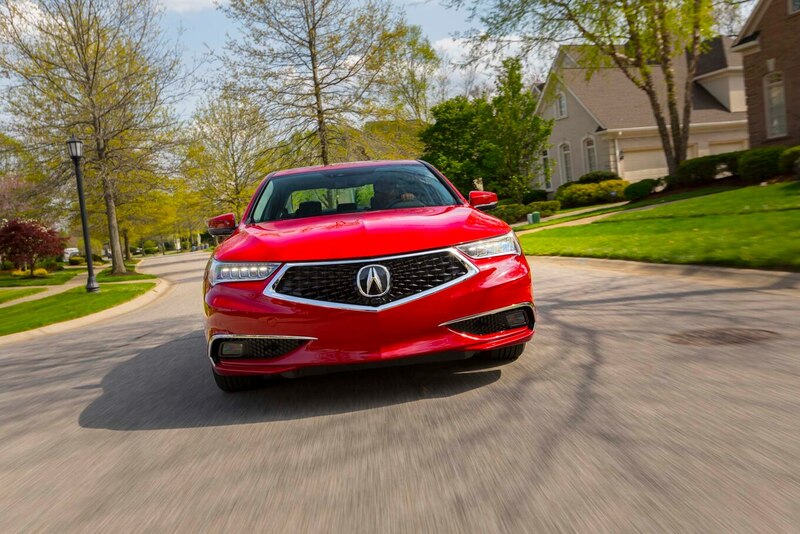 The TLX’s interesting diamond pentagon grille is an improvement over the more chrome-filled 2015-2017 model’s look, yet besides the front and rear fascia changes, the car is still on the more conservative side. 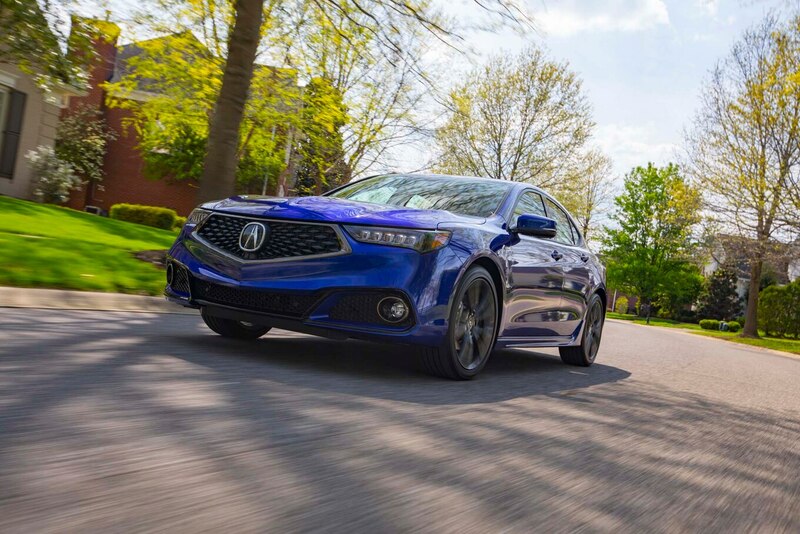 That’s mostly good—it means that, except for maybe the A-Spec model, you’ll probably feel the same way you do about the 2018 TLX’s styling today as you will 10 years from now. 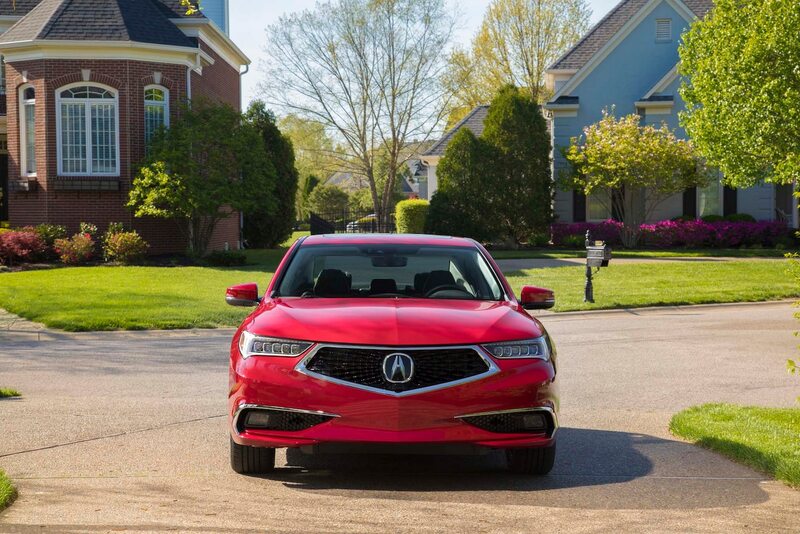 Although the 2018 TLX has lots of new features and updated styling, the engines and transmissions remain the same. 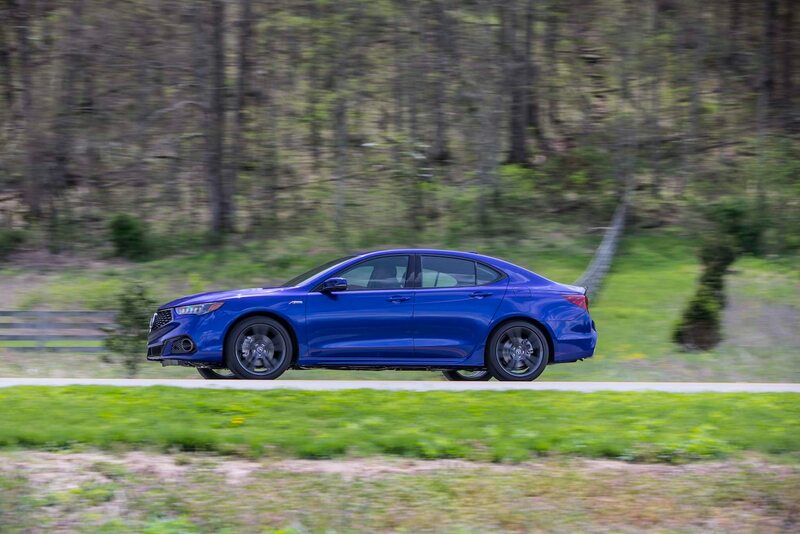 The base car remains front-drive only, with a naturally aspirated 2.4-liter I-4 producing 206 hp and 182 lb-ft of torque, mated to an eight-speed dual-clutch automatic. 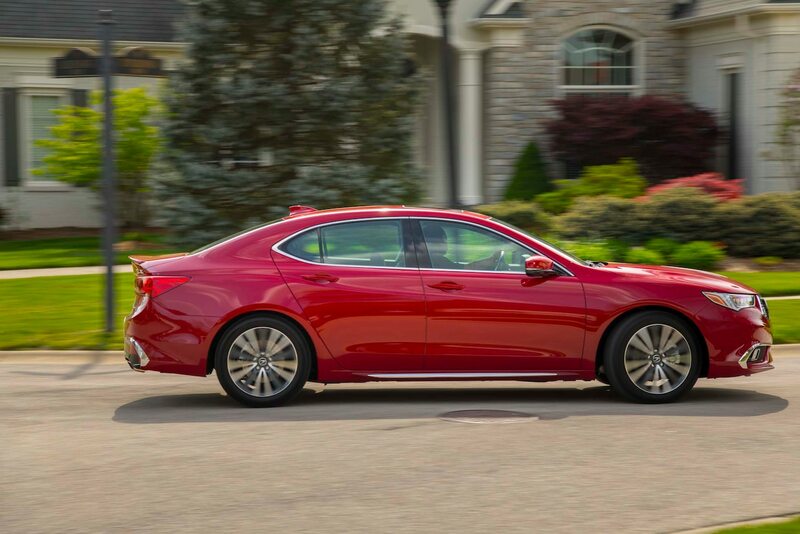 Like the front-drive V-6 models, all-wheel-drive TLXs are powered by a 3.5-liter naturally aspirated V-6 good for 290 hp and 267 lb-ft of torque, mated to a nine-speed automatic. 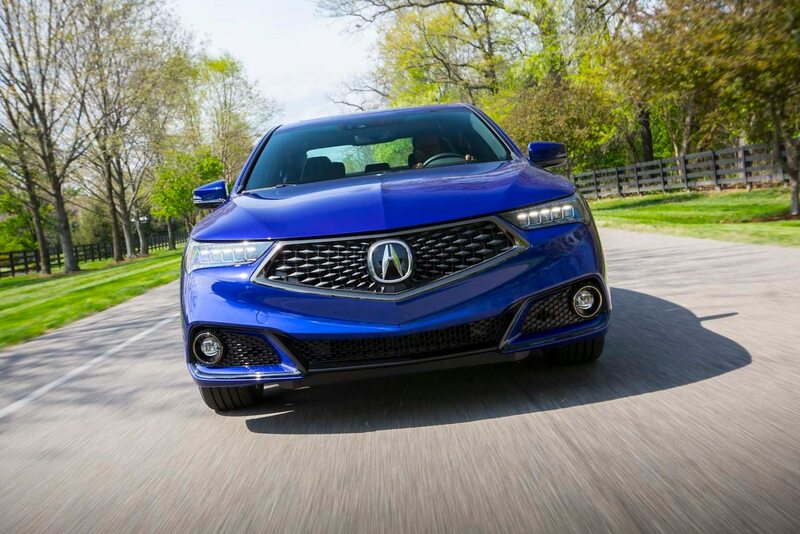 Sixty percent of TLX customers are expected to go with a V-6 model over the I-4, and that makes sense if you’re comparing the TLX to a BMW 330i and Audi A4 2.0T instead of a BMW 320i, Audi A4 Ultra, or even a loaded Honda Accord V-6. 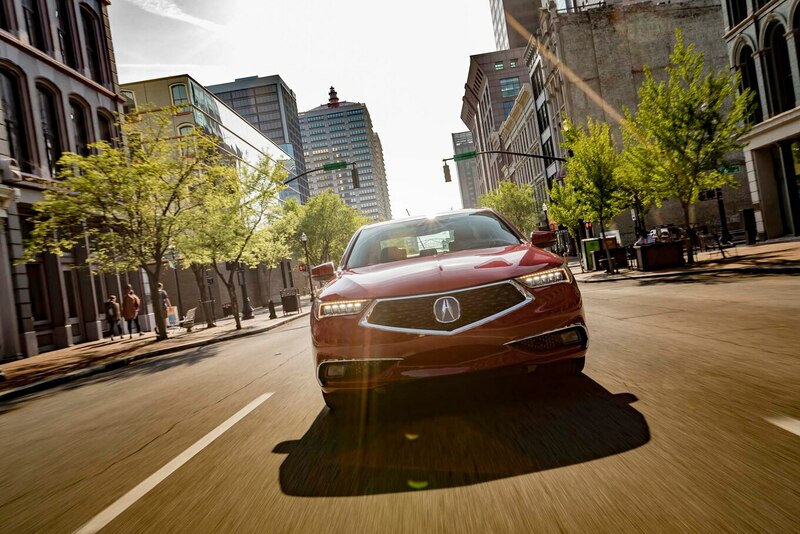 The 2018 TLX’s V-6 engine won’t produce its peak power and torque as low in the rev range as turbocharged four-cylinder competitors, but it will sound better as you make your way across that highway on-ramp. 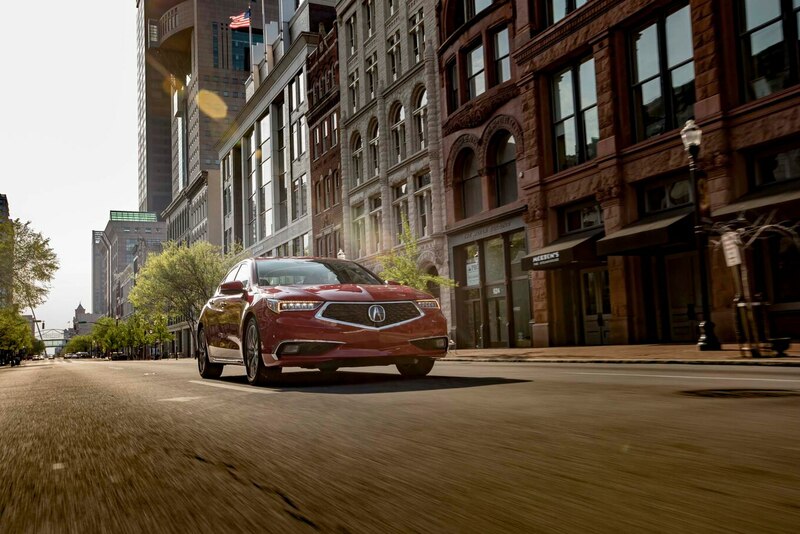 Even with the new 2018 TLX A-Spec model, whose Active Sound Cancellation system is tuned to pump up the engine sound above 4,000 rpm, the V-6 never shouts and always sounds refined. 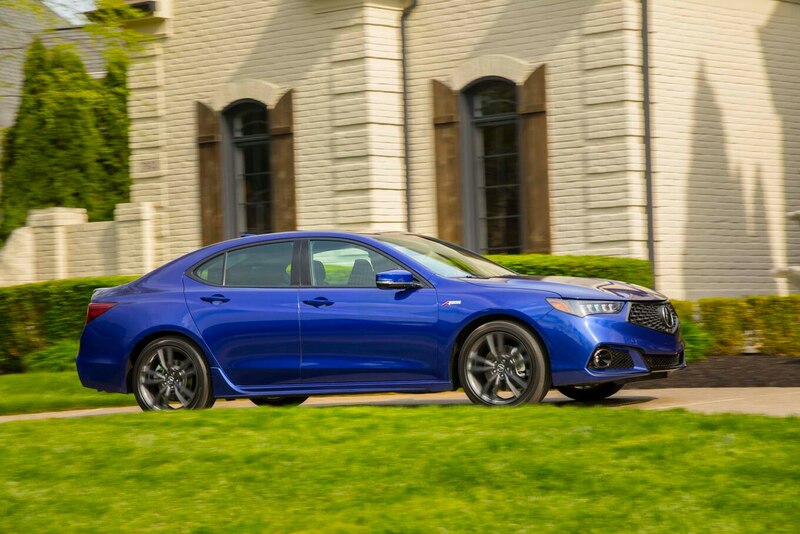 The A-Spec model represents a more involved effort from Acura than the ILX A-Spec, which mostly enhances that car’s already good looks. 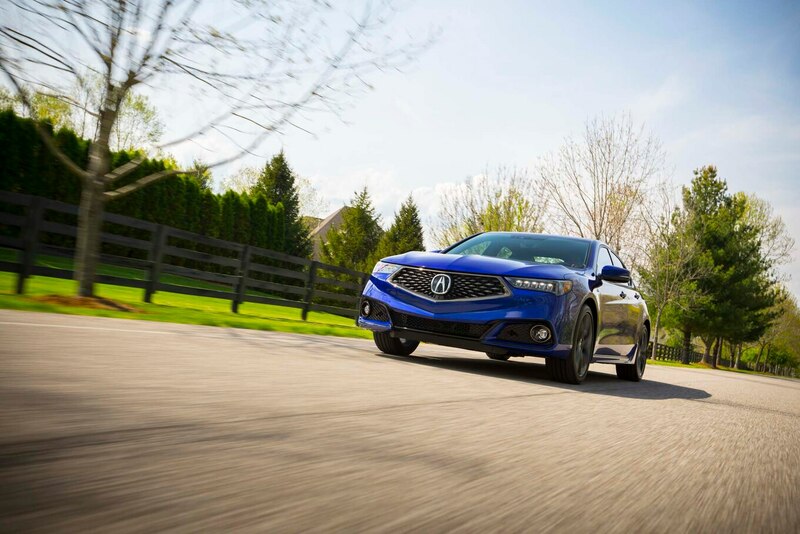 The TLX A-Spec is offered on front- and all-wheel-drive V-6 models, and rides on slightly fatter 245/40 R19 tires with dark-painted 19-inch wheels (compared to the regular V-6’s 225/50 R18 tires and 18-inch wheels). The steering and suspension systems are also retuned, and exterior and interior badges accompany the more aggressive styling touches and larger exhaust outlets. 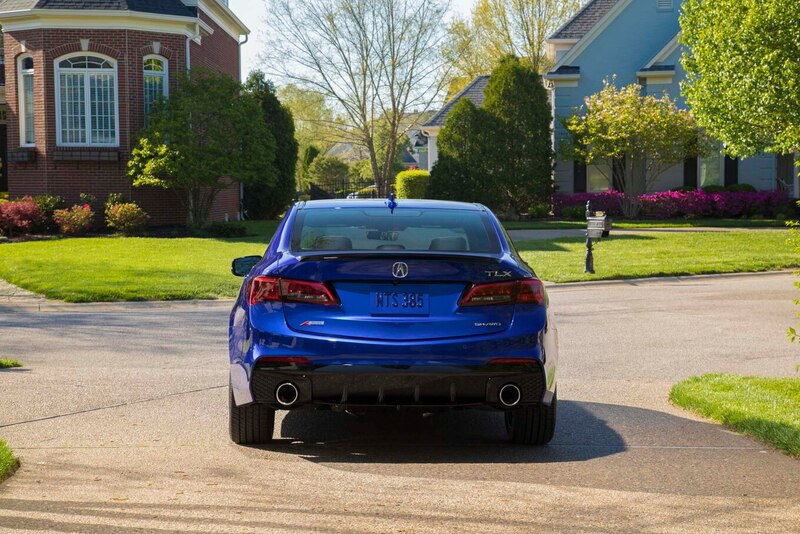 On the road, you really can tell a difference between a 2018 TLX A-Spec and a non-A-Spec V-6 car. 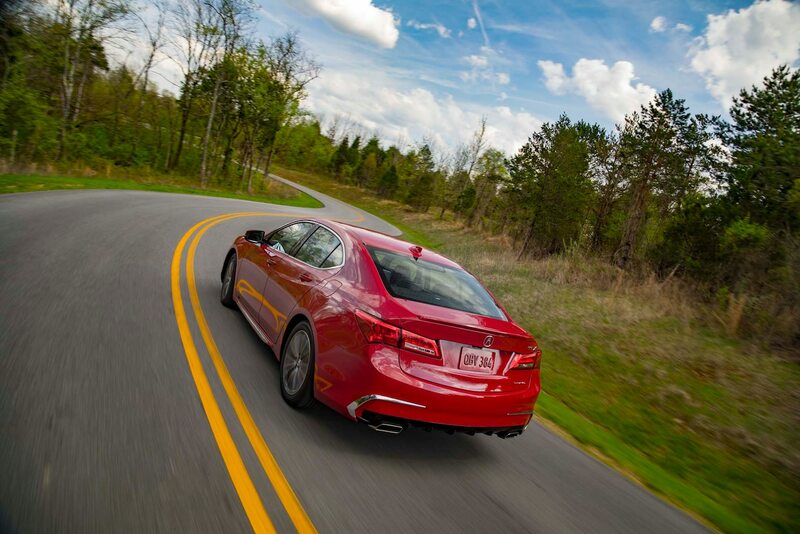 It’s subtle, but the TLX A-Spec’s suspension is firmer (but still everyday-livable), and the steering feels tighter, with slightly greater effort. 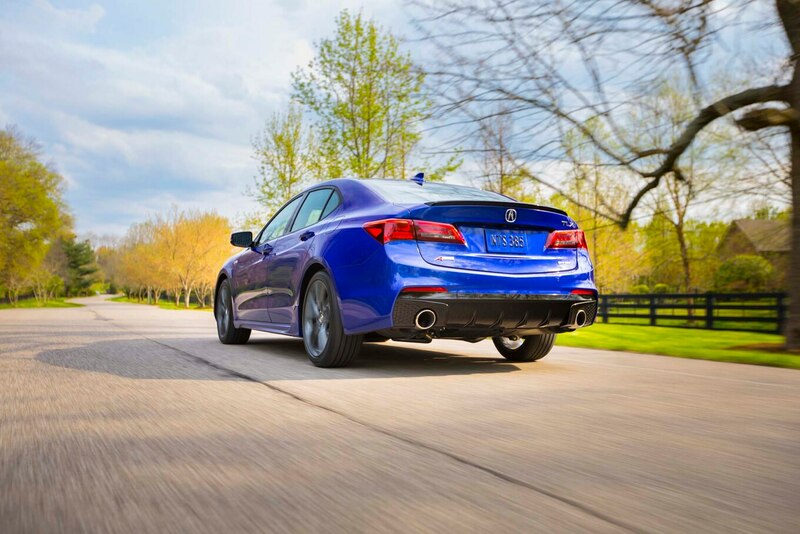 No, the A-Spec car doesn’t make any more power than the other V-6 models, but we tested a 2015 TLX with all-wheel drive and the same engine/transmission combination hitting 60 mph in a respectable 5.9 seconds. 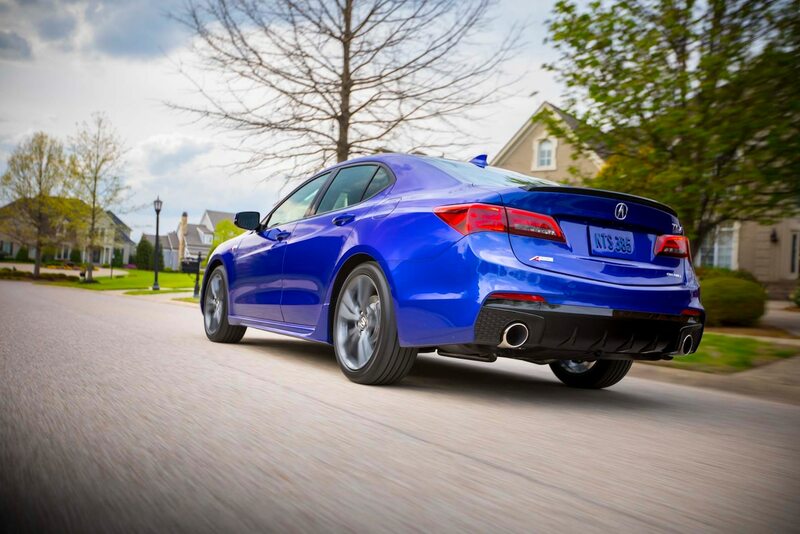 As for the four-cylinder model, we’ve tested a 2015 TLX 2.4 reaching 60 mph in 7.2 seconds. On a winding road in a 2017 TLX recently, I found the 206-hp engine plenty powerful for driving on winding roads, and I appreciated its surprising snarl in Sport+ mode. 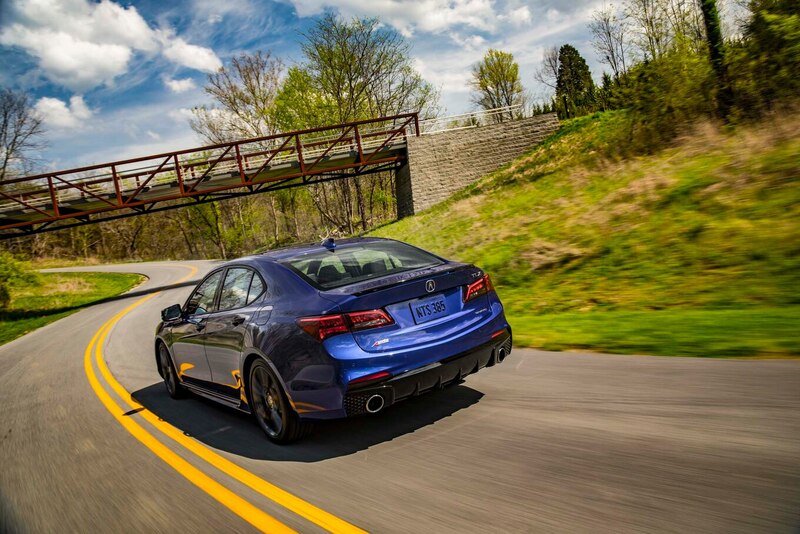 We look forward to track testing 2018 TLX variants, including the A-Spec variant, to see how their performance has changed. 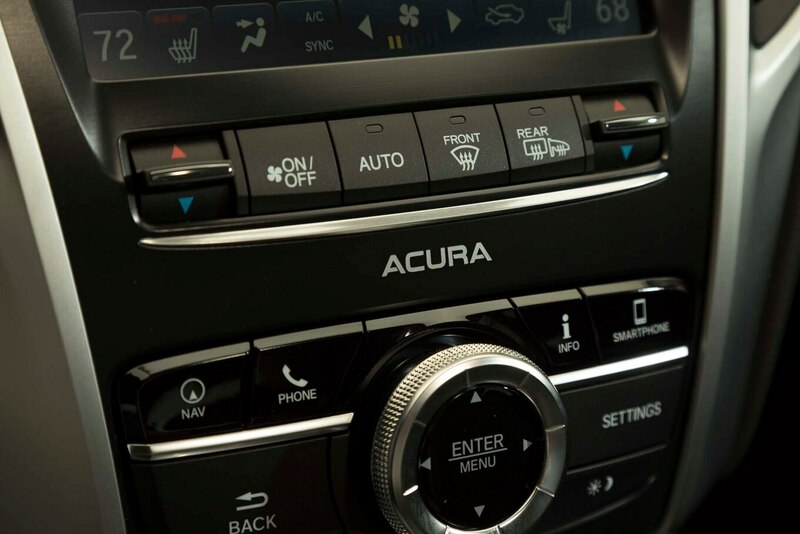 The Acura TLX’s auto brake hold can hold the brakes at long red lights, and it works smoothly as long as the V-6 model’s engine stop/start feature is turned off. 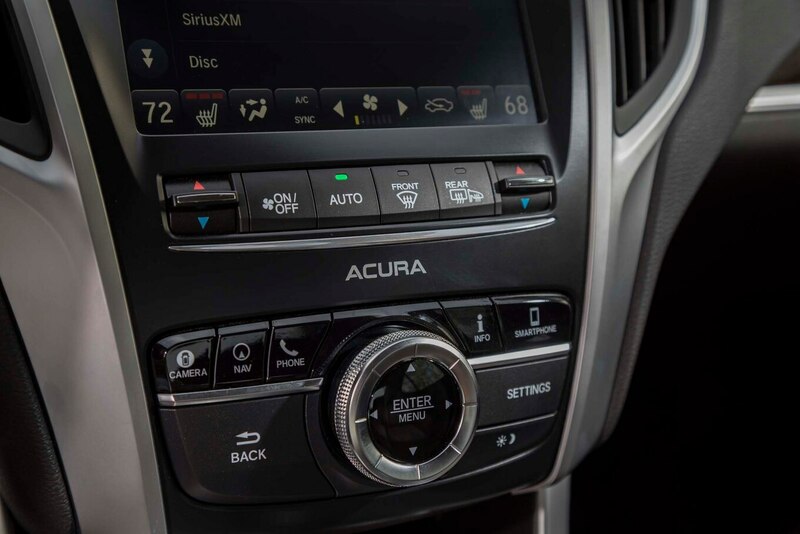 Having previously driven a 2017 TLX V-6 with all-wheel drive, I noticed the nine-speed auto in the 2018 TLX V-6 was better behaved during a day I spent with the updated cars. 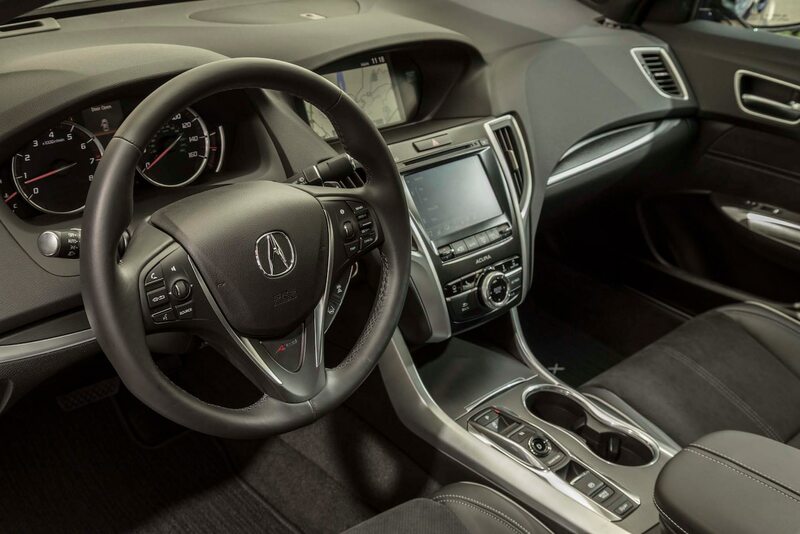 Hopefully this reflects the multiple minor improvements Acura tells us it has made since the V-6/nine-speed combination first appeared on the 2015 TLX, though it will take another few years to see any potential improvements in quality and reliability surveys. What remained consistent on the 2017 and 2018 TLXs I drove was the brake feel—there was a bit too much travel in the pedal before any actual slowing down happens. 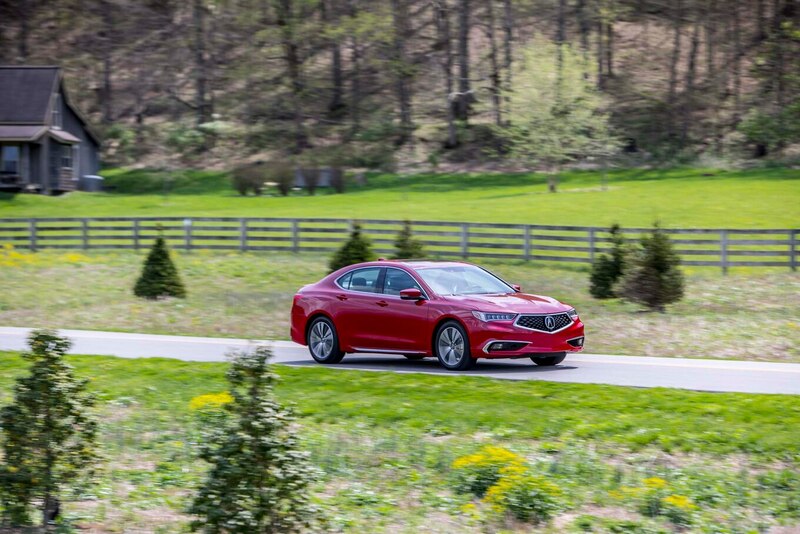 With Acura carrying over the TLX’s engines and transmissions, EPA-rated fuel economy is expected to remain about the same. 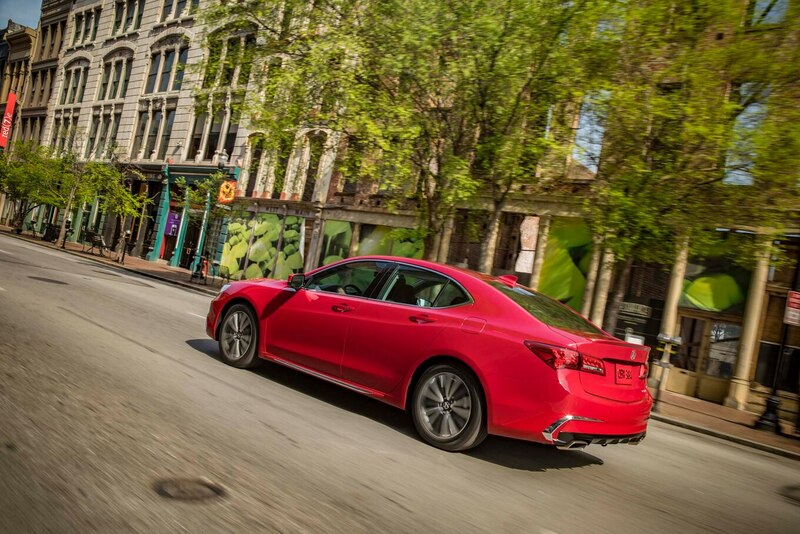 We don’t yet have the 2018 TLX’s official ratings, but the 2017 TLX came in at 24/35 mpg city/highway with the four-cylinder version, 21/34 mpg with the 2017 TLX V-6 FWD, and 21/31 mpg on the 2017 TLX V-6 AWD. 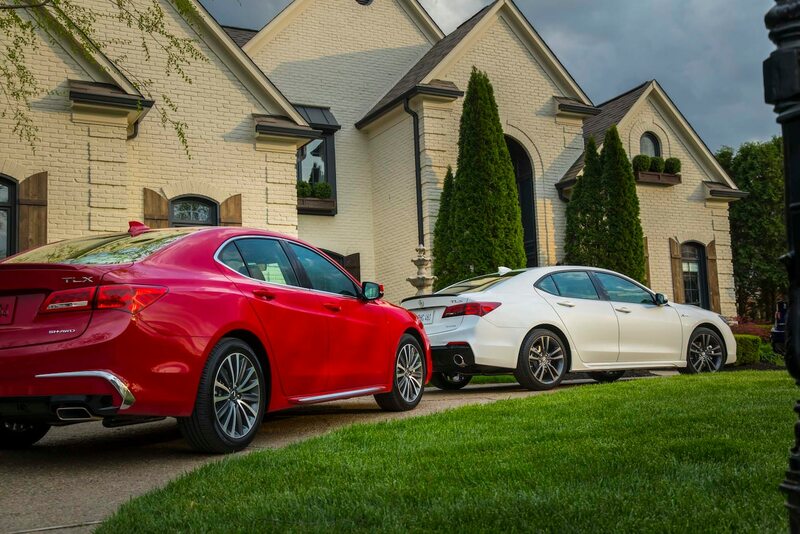 Those are average numbers if you’re comparing the TLX to turbo-four-powered compact luxury sport sedans. The 2017 Audi A4 2.0T scoots from 0 to 60 mph in just 5.0 seconds, yet is EPA-rated at 24/31, three mpg better than the equivalent 2017 TLX in the city. The front-drive 2017 A4 2.0T is rated 25/33 and the 2017 Mercedes-Benz C300, which we tested in rear-drive form reaching 60 mph in 6.0 seconds, is rated 24/34 mpg (or 24/31 with all-wheel drive). 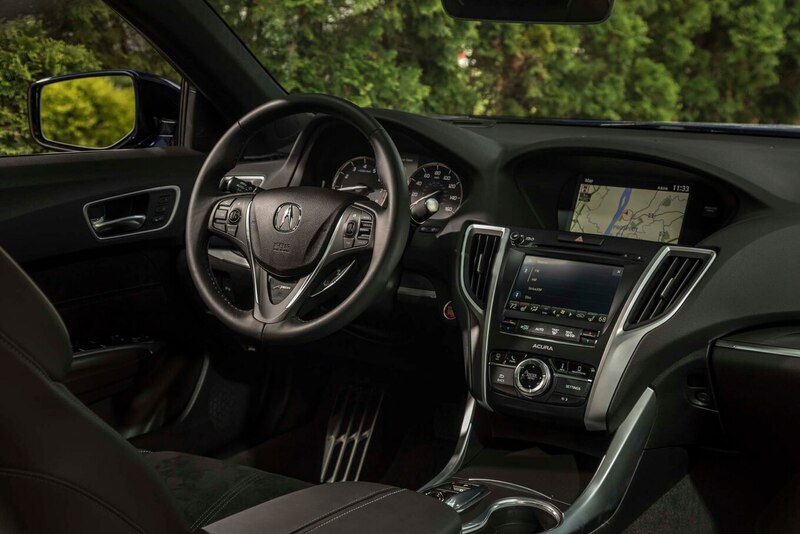 Neither of those German competitors have the Acura’s polarizing infotainment solution of two stacked screens. 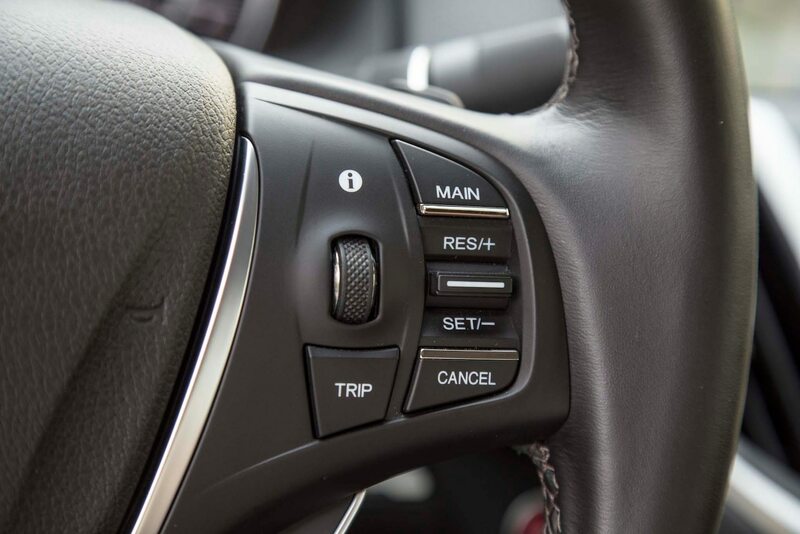 This is a layout we’ve seen on the prerefresh TLX, but it’s better executed now, with a lower screen that’s 30 percent quicker (and feels that way) as well as an Apple CarPlay integration that includes the ability to use the steering wheel’s voice-command button. 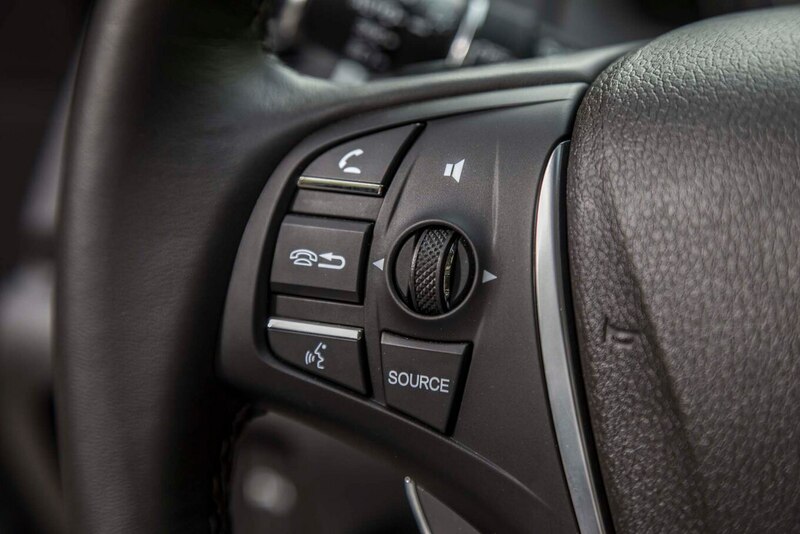 On that lower screen, the controls for the HVAC system as well as the heated and available ventilated front seats are always visible, so making a change is easy. 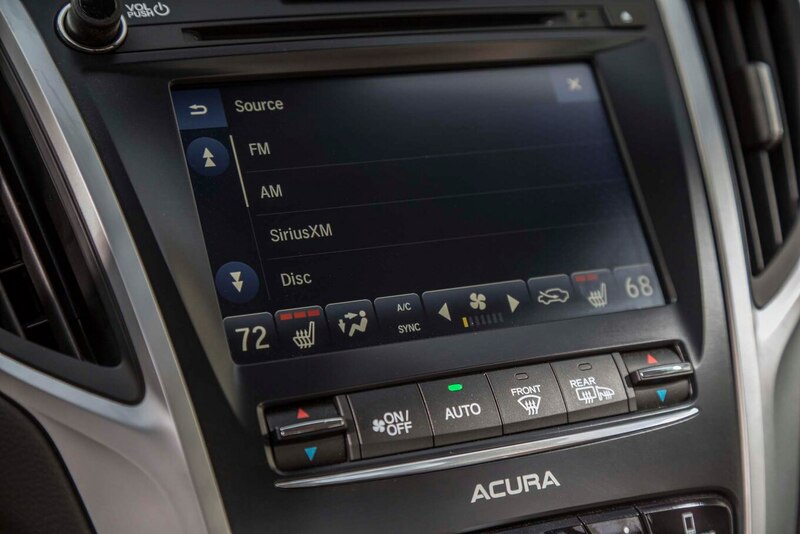 If you don’t understand why you’d want two screens, consider that the top screen can display a map, Apple CarPlay/Android Auto info, or fuel economy stats while the bottom one shows audio and HVAC system details. 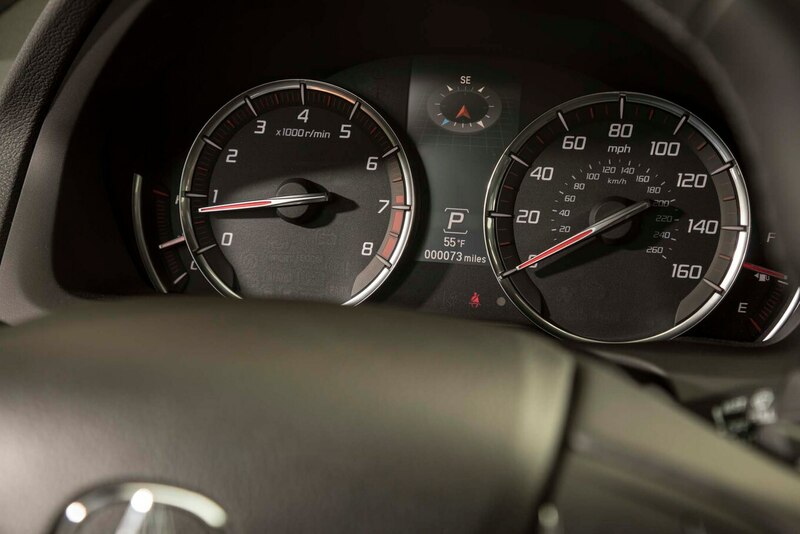 Another screen is sandwiched between the two instrument cluster gauges that are functional but not particularly modern or upscale. 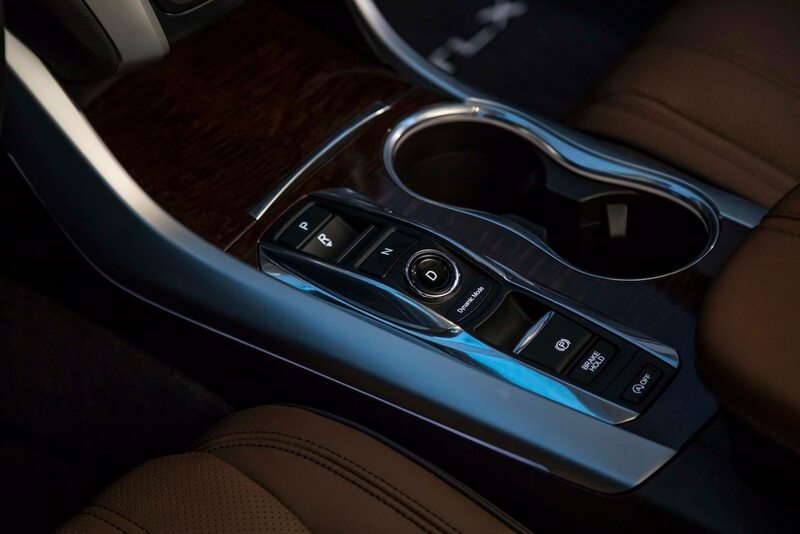 From the front or rear seats, you might appreciate the new contrasting seat piping that’s offered on most six-cylinder TLX sedans and standard on the TLX A-Spec. 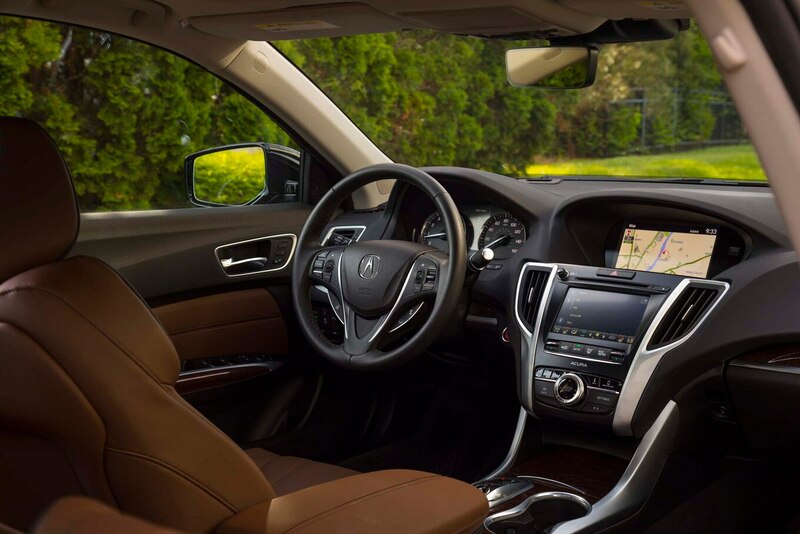 The detail is included on a new comfortable seat design and, overall, Acura offers the luxury of choice with a six interior colors. The most upscale is a new saddle-brown-like color called Espresso that’s only offered on non-A-Spec V-6 models. 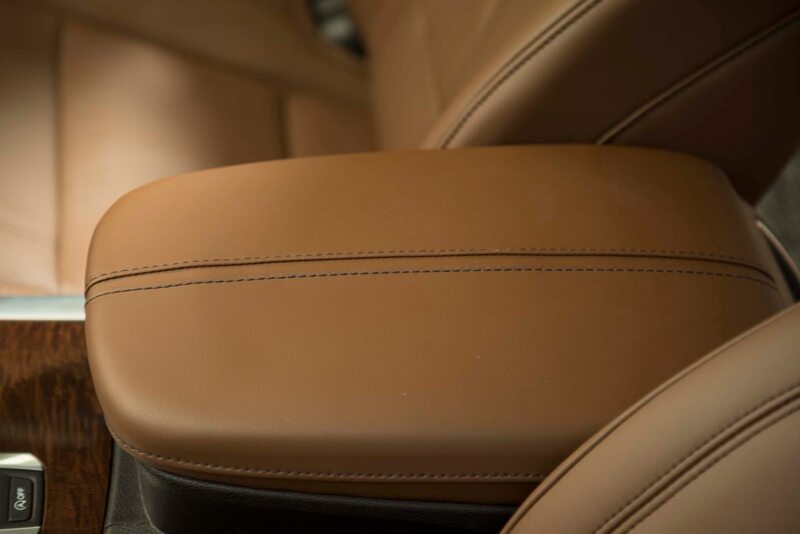 The A-Spec gets a choice between black leather with Alcantara inserts and white piping and an option the development team worked hard to get approved: red leather. Like many cars in this class, rear-seat space is adequate for two passengers in the outboard rear seats, which can now be optioned with heating controls. 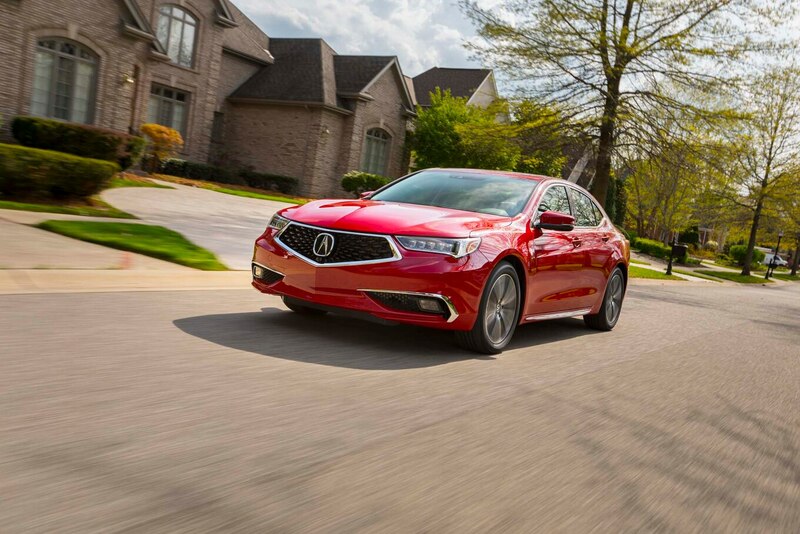 Value remains the best reason to buy a TLX, but with the 2018 model going on sale in June, it’s far from the only one. The A-Spec variant is more fun to drive and showy than other TLXs have ever been before, yet each model would make a good commuter. 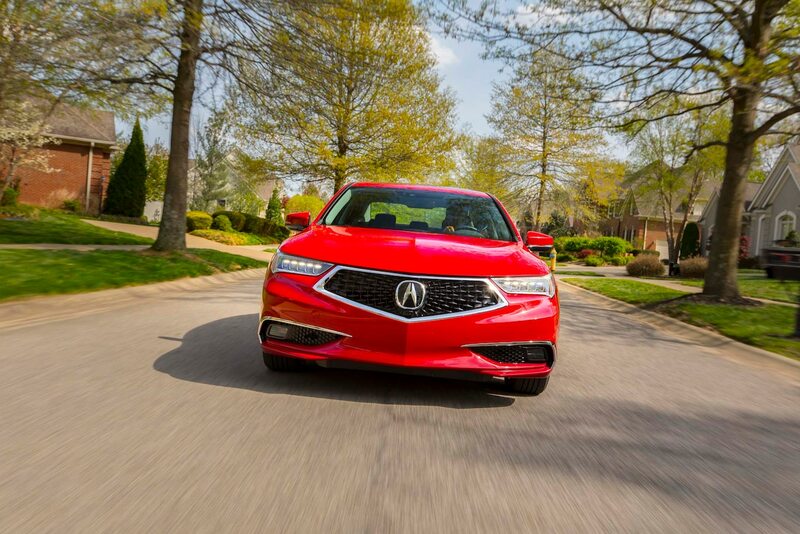 Fuel efficiency and brand status aren’t the car’s strong suits, but the 2018 TLX is more worthy of consideration than it’s been before. 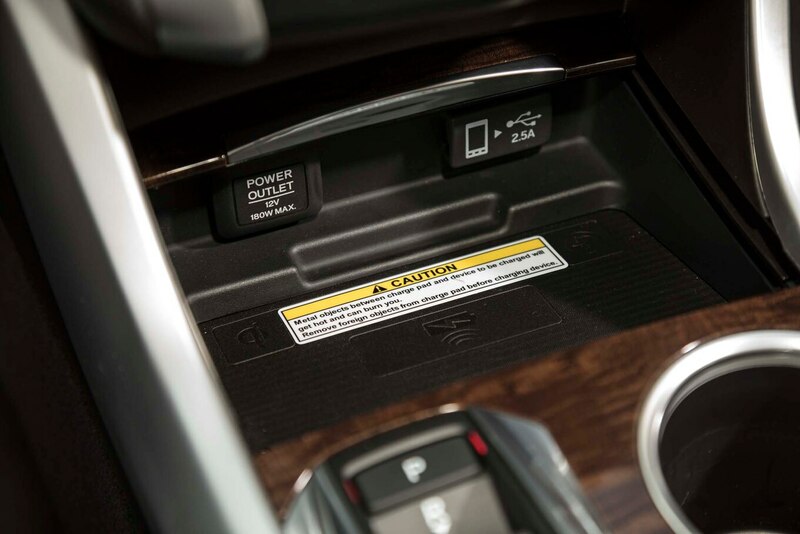 And with standard active safety tech, you’ll experience features that might have been out of reach on nonloaded first-tier luxury brand alternatives. Fyre Festival’s debacle this weekend provides a teachable moment for PR pros in over-promising and under-delivering.